Throughout the month of April, Ubisoft is hosting a special Invasion Apparel event for The Division 2. 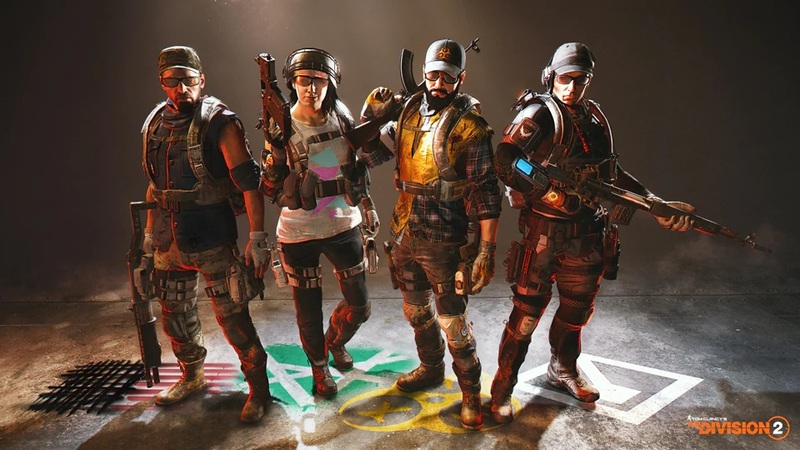 The event lasts until May 2, and it allows players to earn unique cosmetic items for their Division 2 characters. In this guide, we explain how the event works and how you can unlock its corresponding apparel caches. around the game’s enemy factions (Outcasts, Hyenas, True Sons, and Black Tusk). Opening Invasion Apparel Caches awards Invasion Apparel items. The Invasion Caches also have dupe protection which means players will never receive a duplicate item. This means it should be pretty easy for dedicated players to unlock all of the event’s unique items. Invasion Apparel Caches are opened using corresponding keys. Weekly Apparel Projects which task players with completing missions and activities in specific overworld districts. Completing a Weekly Apparel Project awards three cache keys. Every Field Proficiency Cache a player opens after reaching level 30 has a chance of containing a cache key. Players have a chance of receiving a cache key whenever they reach a new level of Dark Zone Proficiency. Cache keys are available for direct purchase using Premium Credits. however, will be gone for good, so make sure you get it if you want it. the Invasion items while there’s a guaranteed unlock track. For more on The Division 2, be sure to read about its upcoming public test server and first raid. The post The Division 2: How to Earn Invasion Apparel Event Cache Keys appeared first on VGR.